Two former Kane County Cougars players made postseason history in very different ways Tuesday. Toronto Blue Jays infielder Cliff Pennington (2005 Cougars) became the first full-time position player to pitch in the postseason, and Chicago Cubs outfielder/catcher Kyle Schwarber (2014 Cougars) became the all-time leader in postseason homers hit by a player under 23. 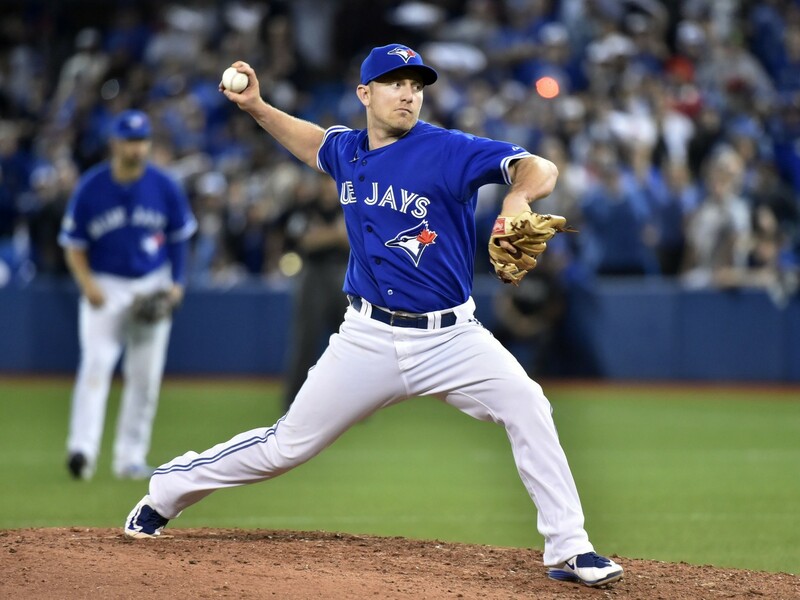 Pennington pitched in Game 4 of the American League Championship Series, which the Kansas City Royals won 14-2. Blue Jays manager John Gibbons sent him to the mound with two runners on and two outs in the top of the 9th inning. Both of the inherited runners scored as Pennington gave up two singles before getting the third batter he faced to pop out. He threw seven pitches. Only Babe Ruth and Rick Ankiel previously played and pitched in the postseason, but neither of them took the mound after converting to non-pitching positions. Pennington hadn’t pitched since he attended Texas A&M, where he was an occasional reliever while primarily playing shortstop. Shortstop was the only field position played by Pennington when he was in the Midwest League. He batted .276 with 3 HR, 29 RBI and 25 SB in 69 games. In Game 3 of the National League Championship Series — won 5-2 by the New York Mets — Schwarber set two new records when hit his fifth home run of the postseason. He is now the Cubs’ franchise leader in postseason homers and the all-time leader in roundtrippers slugged by a player before his 23rd birthday. Mickey Mantle, Andruw Jones, Miguel Cabrera and Bryce Harper each hit four home runs before turning 23. In 23 Midwest League games, Schwarber batted .361 with 4 HR and 15 RBI. Infielder Daniel Murphy, who did not play in the Midwest League, set a new Mets franchise record by hitting his sixth homer of the postseason. He also tied former Lansing Lugnuts outfielder Carlos Beltran by going deep in his fifth consecutive postseason game. Beltran played 11 games in the Midwest League, batting .143 (6-for-42) for the 1996 Lugnuts. This entry was posted in Kane County Cougars, Lansing Lugnuts, Midwest League. Bookmark the permalink.